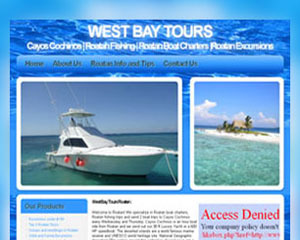 Client Brief Flexsin had this opportunity to execute an organic search engine optimization project for Mr. Avi Dsouza for his website westbaytours.com, famous name for Roatan boat charters, fishing trips, Cayos Cochinos trip and more. This project was executed with the best SEO practices leading to the successful completion of the campaign. Project Challenges Client wanted to have a quick result with the website appeared on the first page in major search engines. So we were required to update the Google and other search engines immediately about website presence. With all the team work and recommendation on the basis market research and Google his website was make search engine friendly. Client was very happy with our quality work and he rewarded us with bonus in very first month.